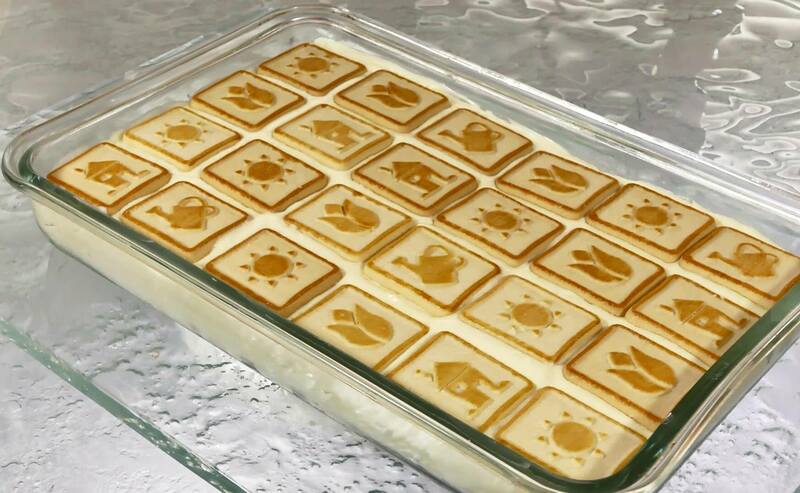 Line the bottom of a 13x9x2-inch casserole, tart pan or baking dish with 1 bag of Chessman Cookies. In a bowl, combine the dairy-free milk and pudding mix and blend with an electric hand mixer until thickened. Set aside. Make the cashew “cream cheese.” Boil cashews for 10 minutes in water. When cashews are softened, drain and put in food processor. Blend to a fine consistency. Add lemon juice, coconut cream and pinch of salt. Blend until combined. (If too dry, add a tiny amount of cashew water.) In a bowl, combine the cashew mixture with dairy free sweetened condensed milk. Mix with electric hand mixer until smooth and creamy. Fold the Cool Whip into the cashew mixture. Add that to the pudding mixture and stir until well blended. Slice bananas into ½ inch discs. Cover layer of cookies with banana slices. Spoon the pudding and cream cheese mixture evenly over the cookies. Cover with second container of Chessman Cookies. Refrigerate for several hours or until ready to serve. (The longer the pudding is refrigerated, the softer the cookies become.) Serve 1-2 cookies per serving. Optional: Top with whipped topping and 2 slices of banana. 16 oz. of whipping cream plus 2 heaping tablespoons of powdered sugar can be substituted for Cool Whip. Whip heavy cream together with powdered sugar until thickened.